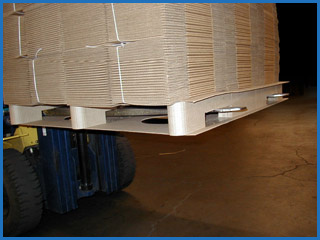 We would like our corrugated pallets to be your primary pallet, that's why we designed the LIFT™ Pallet to be customizable. Can be adapted to your product's size or weight. The deck material can be adapted to accommodate different load requirements. The runners can also be modified for 4-way access.